Seldom do our favourite things collide so serendipitously - sure, you can have wine and sun any old day, but when can you get wine, sun and too cute animals friends all in the same place? 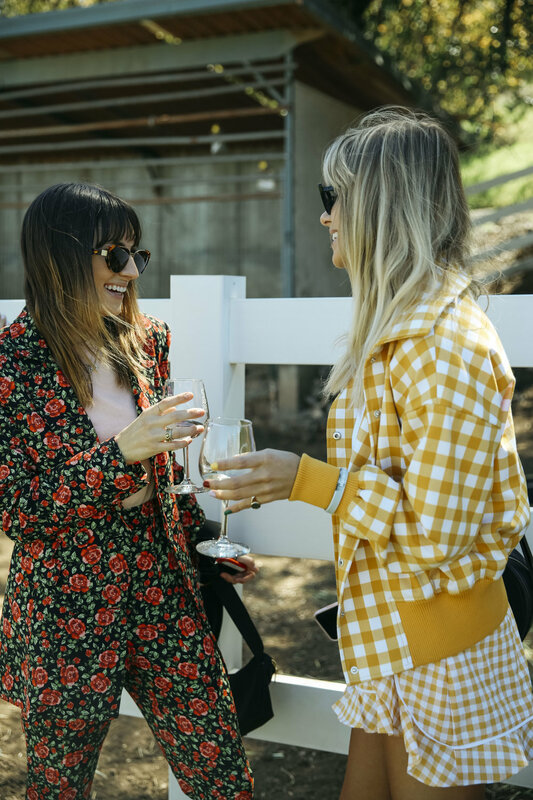 The team at Malibu Wine Safaris invited our DTLA BNKR babes to an exclusive tour - plus a meet and greet with local celeb Stanley the giraffe. 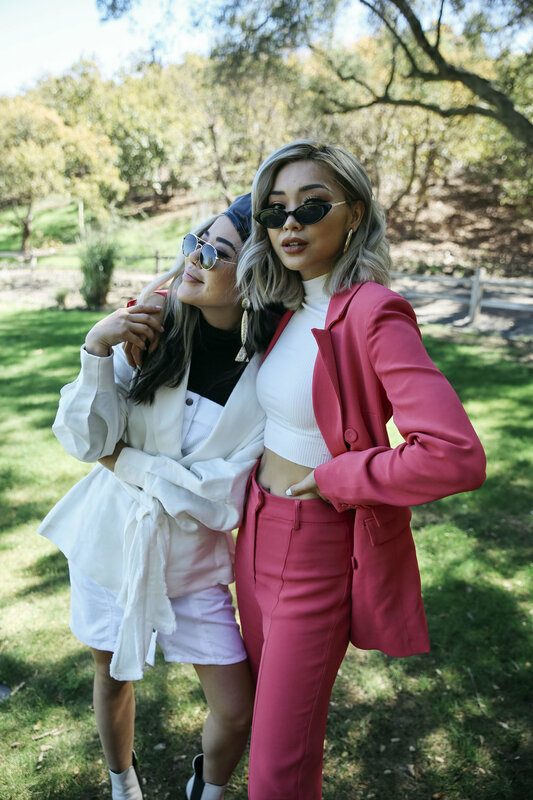 And we bought our favourite influencers along, including @flamcis, @feralcreature, @aesthetics.anonymous, @thevicstyles, @stylewaxpoetic and @courtneeruthie, all decked out in BNKR labels. Take a peek at all the fun, sun and fashion in our full album here + shop our favourites below. Rachel wears C/MEO Own Light Blazer + Pant, Courtnee wears The Fifth Idyllic Bomber Jacket + Short. Eugenie wears Director Jacket + Central Dress, Francis wears Own Light Blazer + Pant. Vic wears Keepsake Need You Now Playsuit. Style Wax Poetic wears Finders Keepers Daytrip Bodice + Skirt. Apr 16 Want To Know The Secrets Of Street Style? Apr 13 WIN: The Ultimate Girls Night For You + 20 Friends! Jun 10 BNKR DTLA: Shop With Our Contest Winners!